I have chosen antelope of east Africa, named Wildebeest. Wildebeests are antelopes of savannah. They follow the rain throughout the year and migrate in large herds. 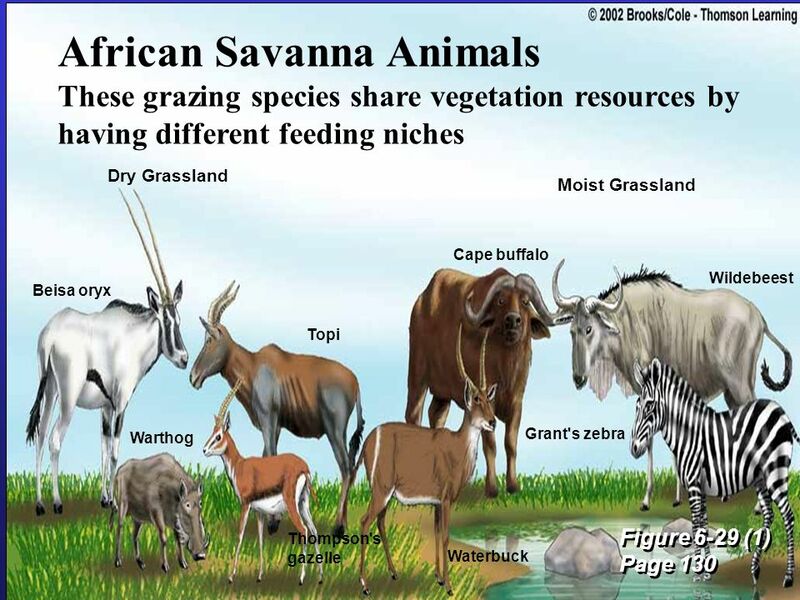 They feed mainly on short grass of east African savannah and are thus strictly grazers. In Maasai Mara reserve of Kenya, wildebeests live with another herbivore, the rhinoceros. 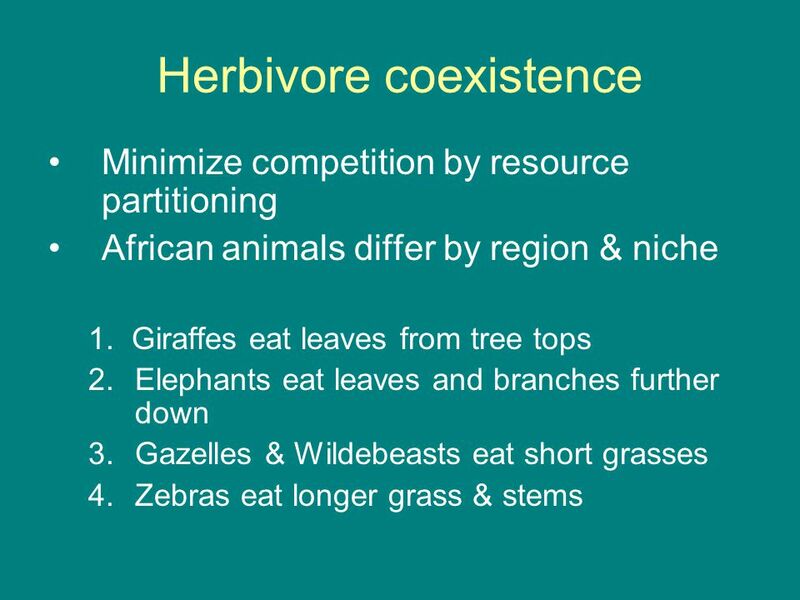 But rhinos are solitary, they never migrate, generally remain within a large territory though they are not strictly territorial, and rhinos are browsers(not grazers) feeding on leaves, shoots, etc. Then there are Maasai giraffes, anither herbivore but they are occupying woodlands rather than the grasslands occupied by wildebeests. This is because giraffes feed from tree top.